Más información Brand new 50 Tonne Low Level Storage Silos. High quality robust heavy duty steel design for long life and portability. All safety features to BS standards. Very low ground pressure to provide cost savings in relation to expensive foundations. 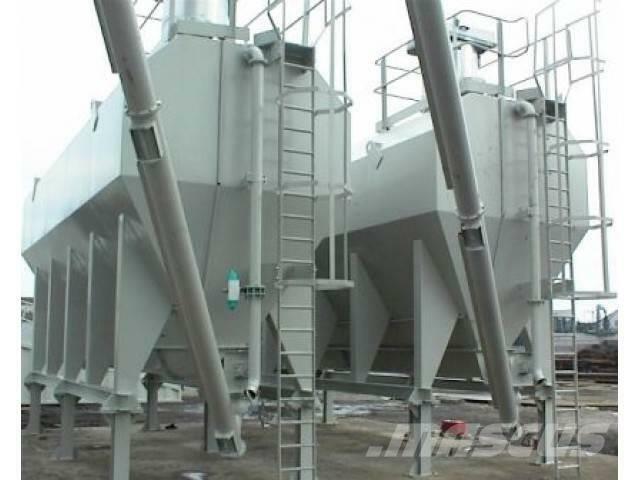 Maintenance procedures are easily carried out due to silo design. Air compressor mounted on support frame of silo. Electric and pneumatic control panels mounted on silo (option generator supplied). V Trough screw to empty silo and transfer screw conveyor to feed production unit. Weigh load cells optional including digital read out. Easily transportable from site to site.